From Washington DC, nutritional value to expressions using the term: “cherry” and “cherries” , chew on these interesting facts on cherries. In 1906 Dr. David Fairchild, plant explorer and and official of the U.S. Department of Agriculture imported 75 flower cherry tree and and 25 sing flowered from a nursery in Japan. After a recommendation and influence of First Lady Helen Taft, Dr. Fairchild had cherry trees planted along avenues in Washington D.C.. The legend that the first US president, George Washington cut down his father’s cherry tree fails to mention that the incident happened when he was 6-years old. 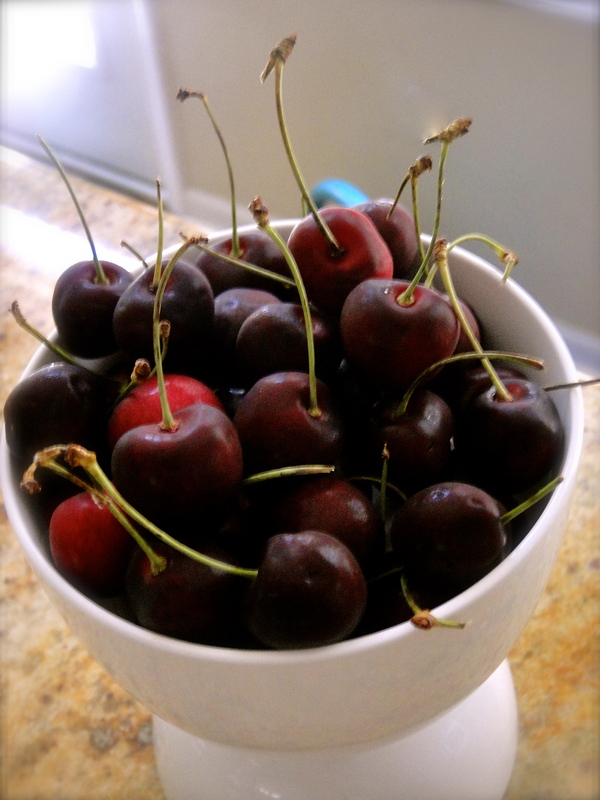 Cherries grow on hardy deciduous trees that do not require lots of water. Numerous sweet cherry varieties grow in the Pacific Northwest. These are the Bing, Cashmere ™, Chelan, Lapins, Rainier Skeena, Sweetheart Tieton™. Other cherry varieties grow throughout North America, including: Anderson, Benton, Black York Kristin, Nugent. Glacier, Hudson, Regina Selah and White Gold. The Tieton cherry’s season commences one week before the Bing Cherry (from early June through July). These mega-sized cherries taste moderately sweet. The idiom, “Life is a bowl of cherries,” was the title of a song composed during the Great Depression: by Lew Brown and Ray Henderson. As North America’s premier sweet cherry, Bing sets the standard of comparison. A ripe Bing Cherry exudes firm crimson-red flesh. Intensely sweet, the edible fruit’s prime season runs from mid June through early August.